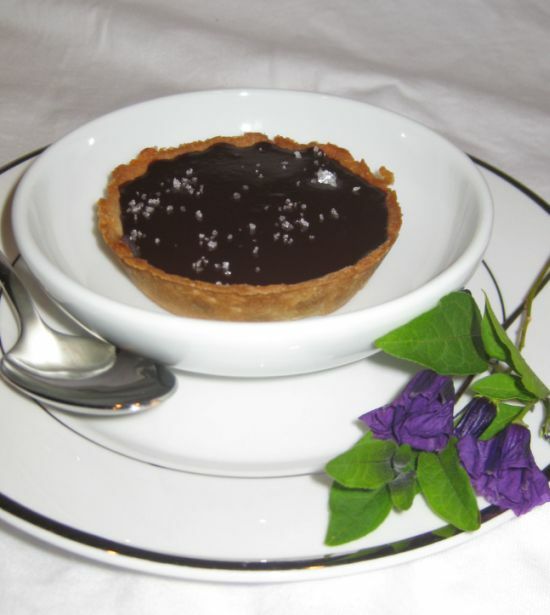 I really love this tart! Simple ingredients but combining them together and the result is spectacular! 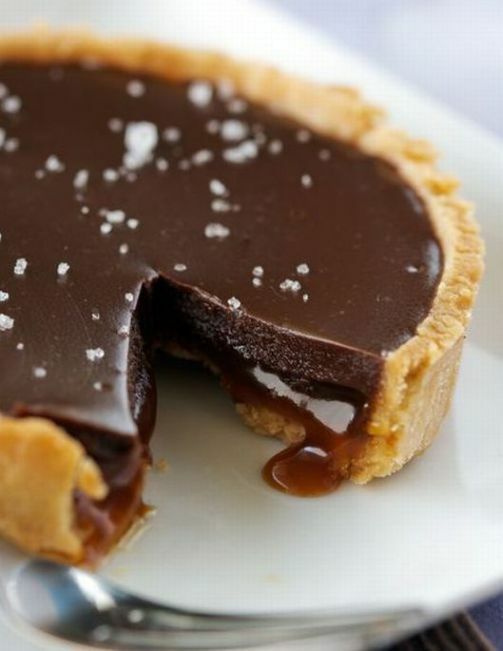 The crust is made with pate Sucrée, a basic French pastry dough, filled with a puddle of golden caramel and then a layer of bittersweet chocolate ganache fills out the top of the tart along with a dusting of sea salt! The sea salt is really a brilliant addition! 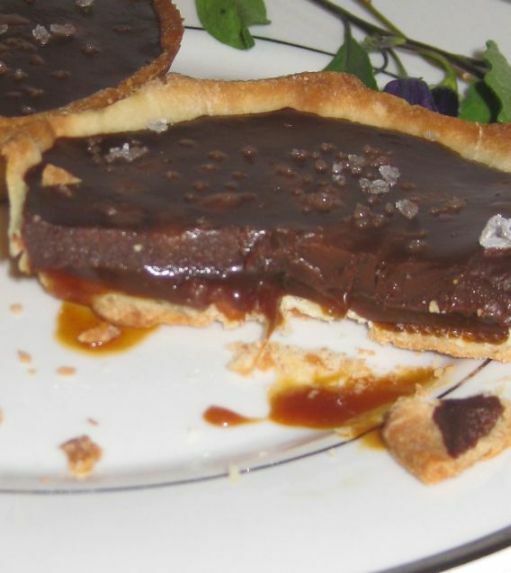 Close look at tart! 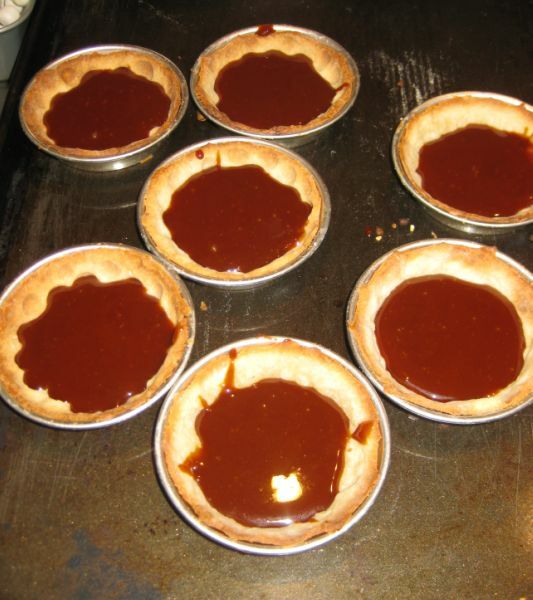 Here you can see the caramel is gooey, soft and delicious! 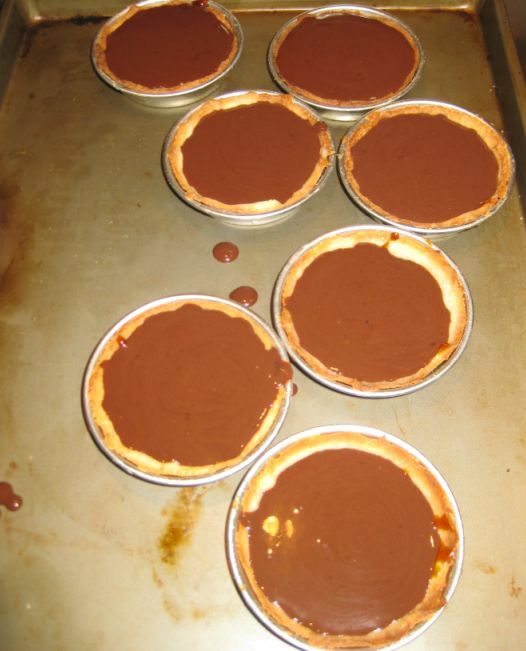 Makes (1) 9 inch tart or (6) 3 1/2 inch tartlets. 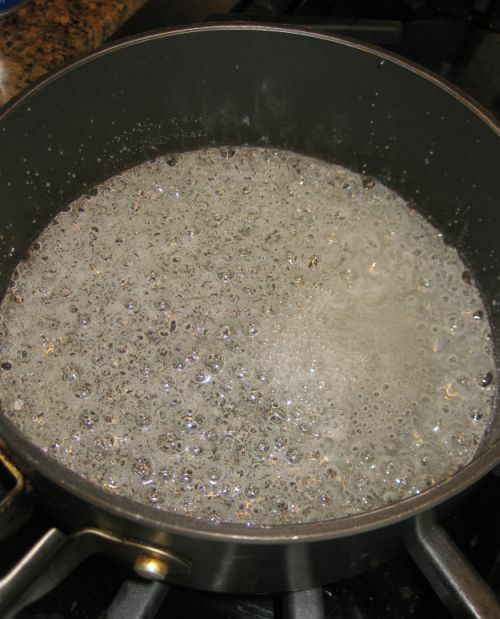 Combine sugar with water in a sauce pan. 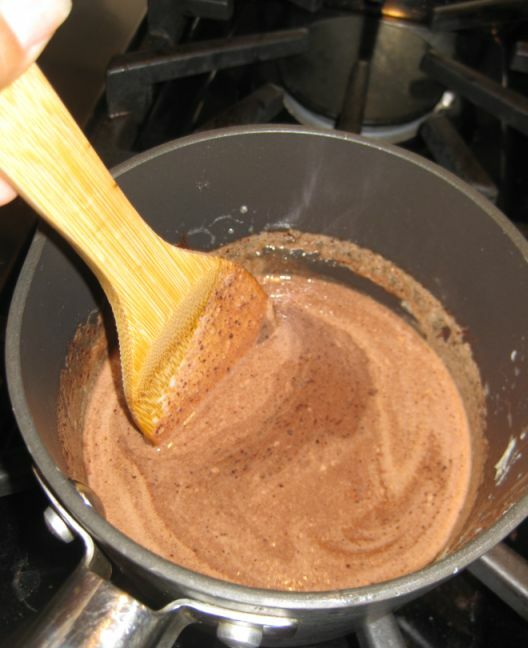 Cook over high heat, stirring until sugar dissolves. 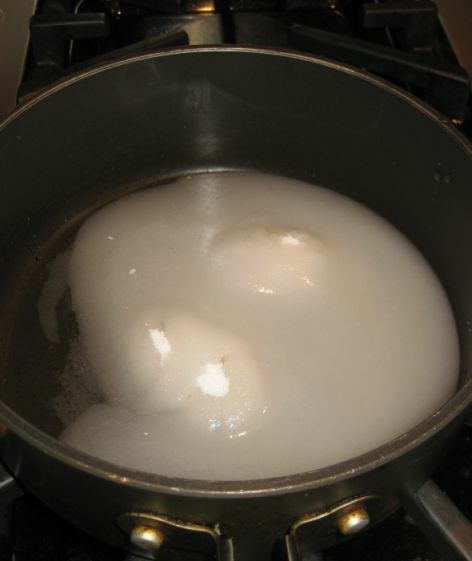 Bring mixture to boil and cook without stirring for about 4 minutes. Keep Swirling the pan to ensure it cooks evenly. 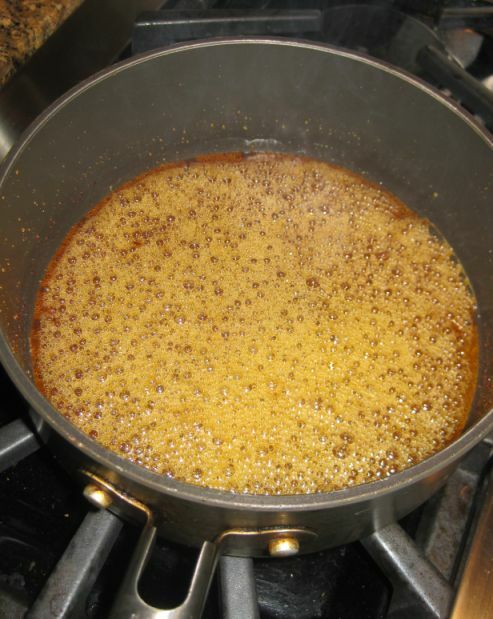 Cook until the sugar turns dark amber. 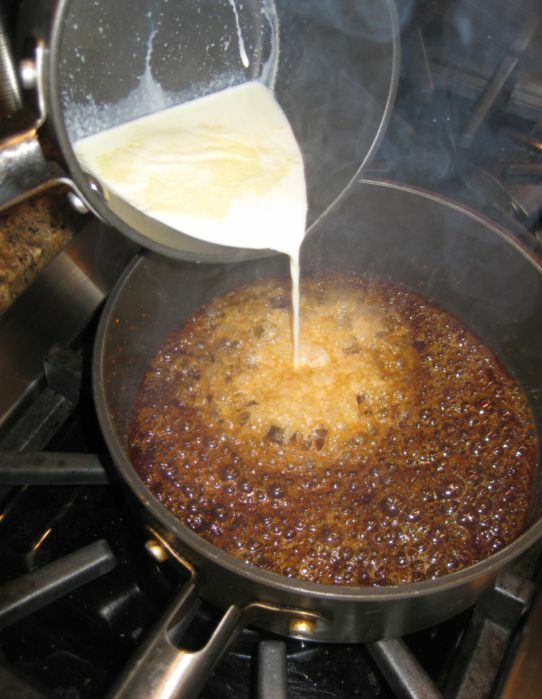 Take the mixture off the heat and pour into the sugar slowly. 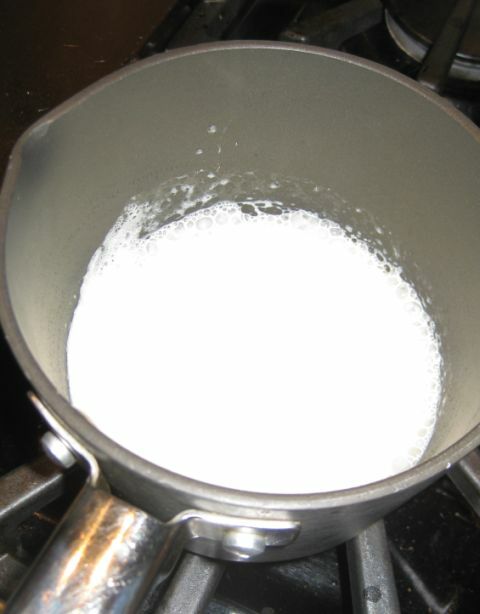 Heat the cream in a small saucepan and bring it to a boil. 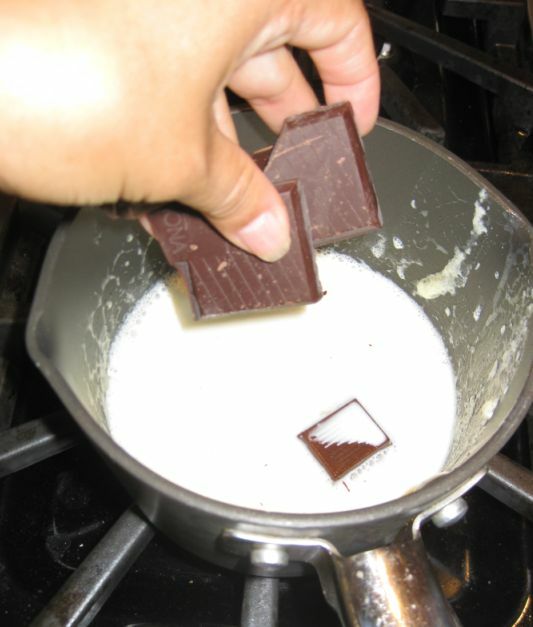 Turn off the heat and put the chocolate inside the pan with hot cream. Let it sit for a few minutes. Then whisk slowly and gently to combine. 1/2 batch of Pate Sucree - click on link to see preparation of the dough. 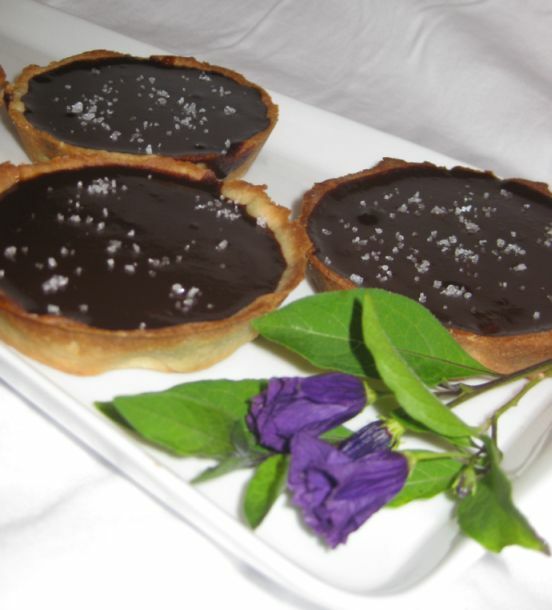 Bake a batch of tart shell. 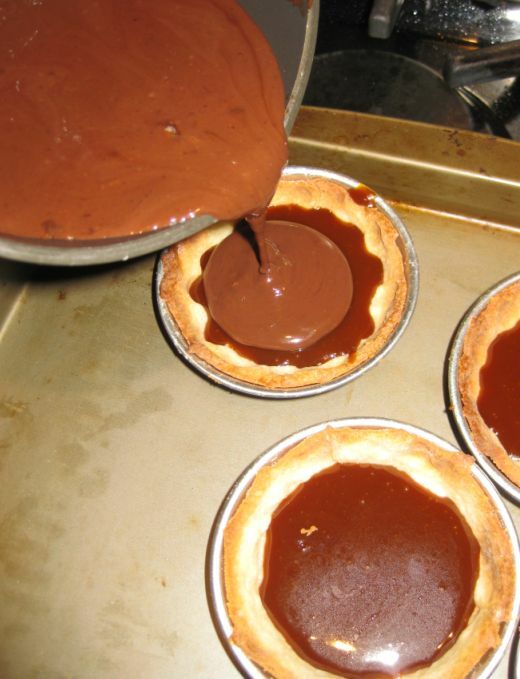 Pour the caramel in the tart shell, covering the bottom. Let it cool down until it is firm and it is no longer shiny and it is no longer soft. 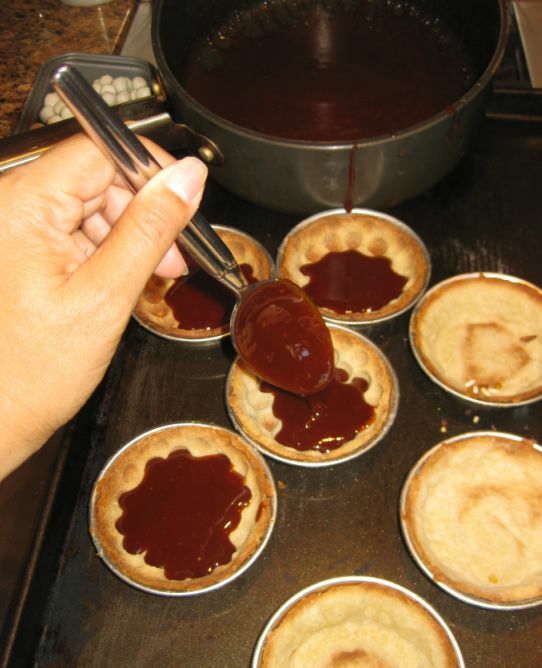 Pour the chocolate ganache on top of the caramel. 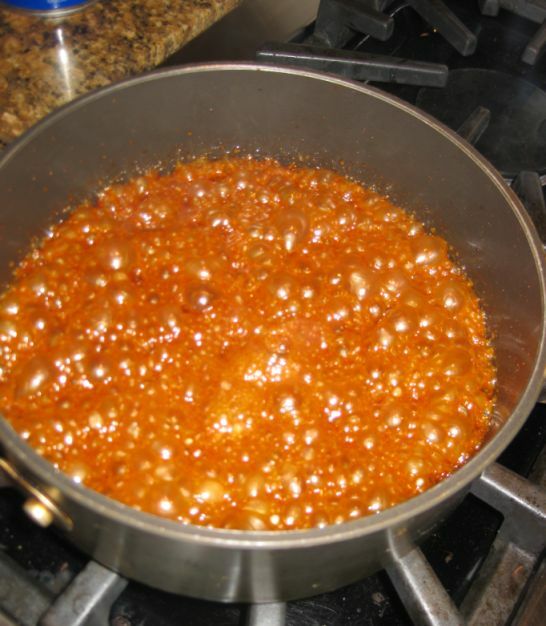 Let it set a room temperature for at least 3 hours or up to 12 hours.